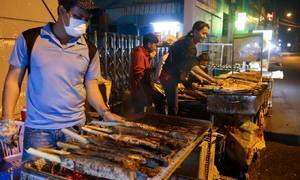 Vietnamese fans’ football craze is epitomized by the lengths to which they go to watch the national team in action. 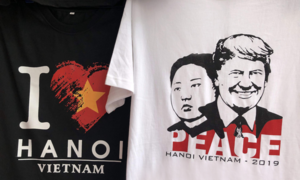 2018 was a red letter year for Vietnamese football, with the national men’s team thrilling fans with unexpected success in regional tournaments, and coming out on top of Southeast Asia after a gap of 10 years. Even when the team lost, the players and coach made the fans proud in the way they fought and the quality of game they displayed. The coach and players have, in turn, lavished praise on their fans, crediting them with motivating the team and drawing out impressive performances. 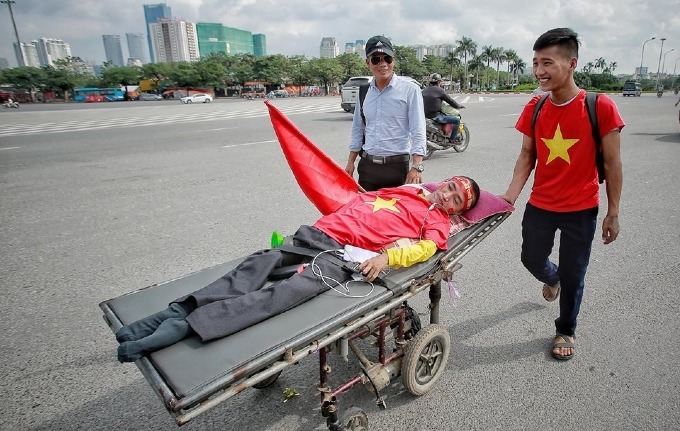 So here are some images that show how devoted Vietnamese football fans are. 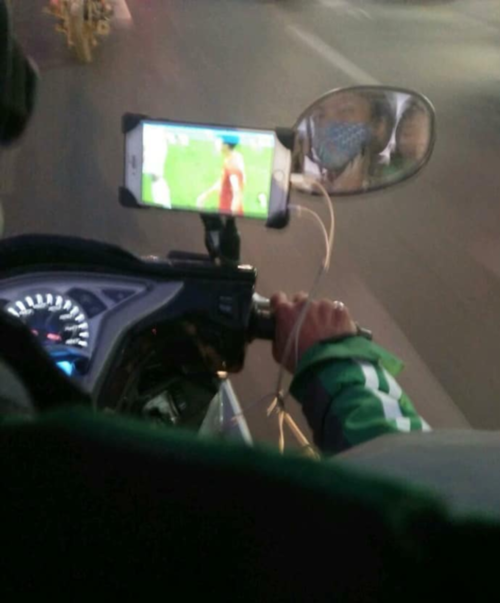 Way to go: A GrabBike driver and a passenger watch the Asian Cup knockout match between Vietnam-Jordan on January 20 when Vietnam played a brilliant game and won 4-2 on penalty shootout. A Facebook user who wished to remain unnamed shared this photo with the caption: "When you have a strong passion for football but have to work at the same time." 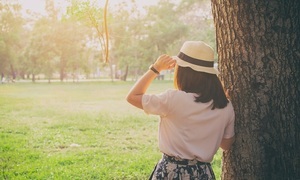 The photo was "liked" by thousands and attracted tongue-in-cheek comments praising the "brave passenger" and commiserating with the motorbike driver. There was some condemnation of "dangerous" behavior and suggestions that they should have pulled over till the game ended so as to avoid traffic mishaps. 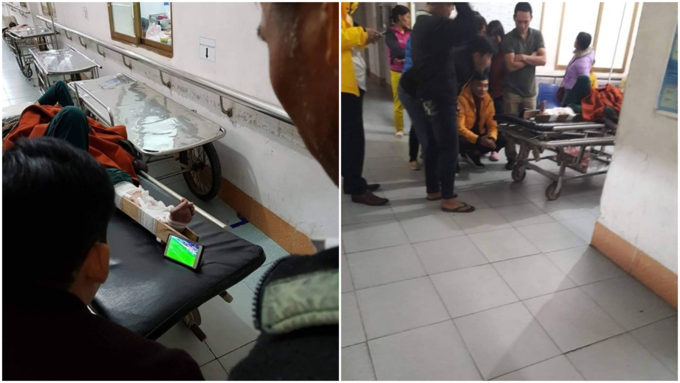 Crutch to lean on: Other images posted on Facebook show a group of diehard Vietnamese football fans watching the same match inside a hospital. Two photographs show a group of young men using the splint of a patient’s bandaged leg as a prop to watch the game on a phone. Flying high on the ground: Normally, passengers are chafing at the bit to pick up their hand luggage and get off the plane after it lands. Not a single passenger on this plane was in a hurry to do so. 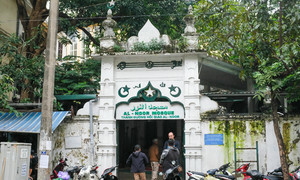 They stayed back to watch every minute of the penalty shoot out between Vietnam and Jordan. 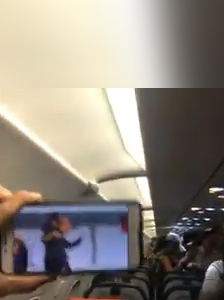 Facebooker Vu Quoc Khanh snatched this wonderful moment of plane passengers cheering for the "The Golden Dragons" and crying with emotion after Vietnam won the penalty shootout. 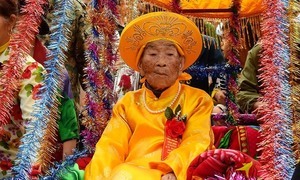 Netizens commented how they could feel the excitement of the plane passengers and also get emotional about the victory. Some said it was only football that could make men cry in public. 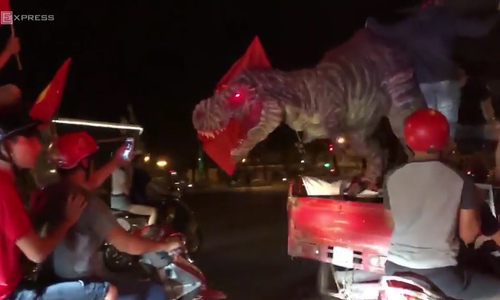 Size matters: Some Vietnamese football fans created a three meter tall mobile dinosaur to rally crowds and cheers for the team. The dinosaur roamed downtown streets in Saigon to celebrate their team's victory in the AFF Cup last year. One member of the team that brought the 120 kilograms dinosaur to life said the creature not only symbolized the Vietnamese team's vast power but also showed opponents that Vietnam was determined to bring home the AFF Cup.